Wooden decks are worthwhile investments. As such, it is imperative that they are kept well-maintained for their long-term appearance and performance. 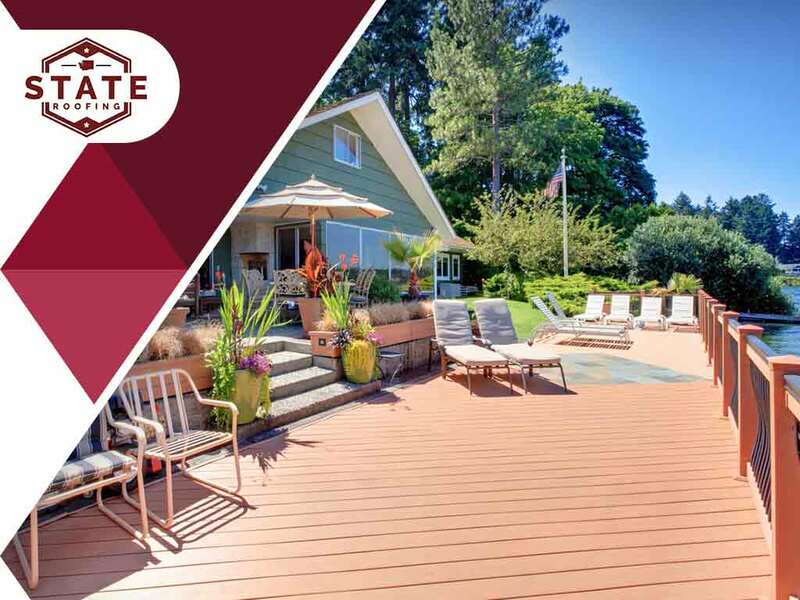 State Roofing, your go-to deck installation services provider, shares some tips to help you achieve good-looking outdoor spaces. All year round, wooden decks accumulate dirt, stain and other debris. These can cause serious issues later on, which is why they need to be cleaned regularly. Remove dried leaves and twigs using a leaf blower. Remove anything stuck between the boards. For stubborn stains, remove them with the blunt edge of a putty knife. Pressure washing the wooden decks in their entirety also helps maintain their pristine appearance. The right deck cleaner or cleaning solution matters, however. It should effectively remove any moss or algae. After doing so, keep the decks dry for two to three days. Inspecting the wooden decks helps identify potential issues that might cause the outdoor living areas to be unsafe. Call a professional for repairs should there be popped up nails, splinters and unsecured railings. Getting ahead of structural problems retains the decks’ appearance and overall performance. In time, wooden decks lose their protection against moisture. Before restaining them, check if the wooden boards can still repel water by pouring water on the deck. Note that for the stain to be effective, the wooden deck must be completely dry. Putting stain on a damp surface can result in cracks or peels on the deck material. When you need help with your deck or other home improvement project, turn to State Roofing. We’ll help you pick the right material for your new home addition. Give us a call at (360) 205-3100 to get started. You may also fill out our contact form for a free, no-obligation quote. We serve residents of Seattle and Tacoma, WA.